Say goodbye to your master suite’s stale look with this Stone Cottage Ceylon 3-pc. 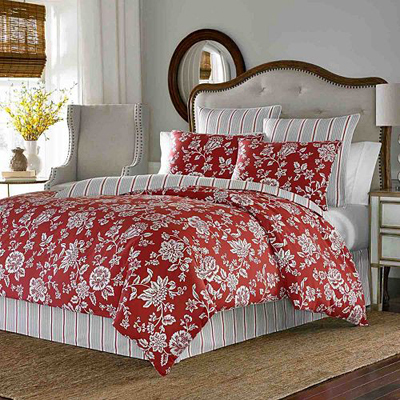 Reversible Duvet Cover Set. Features a floral motif with a striped print on reverse. $49.99-$249.99. Buy here.